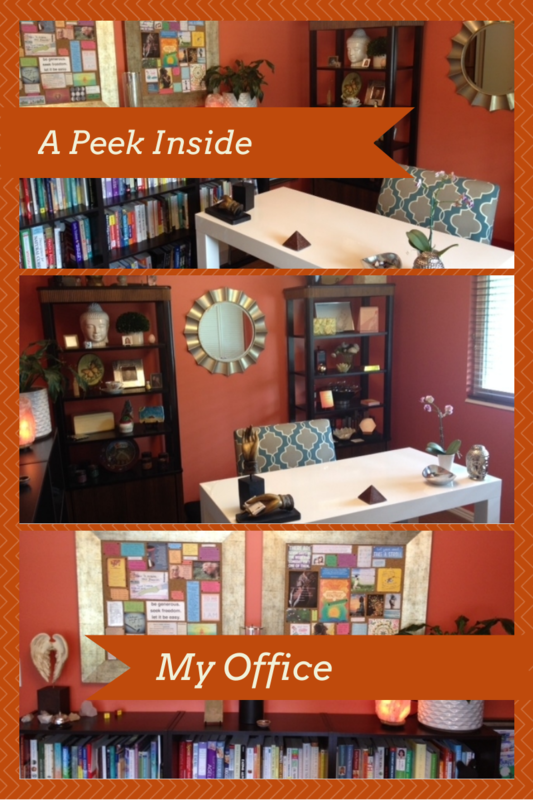 With my promise to show you more of me and my own life, I decided to begin with showing you my office. This feels only slightly less vulnerable than showing you my bedroom. Just last summer, we finally got our house to “presentable” condition. We moved in nearly 8 years ago, and somehow it had always felt like a temporary spot. I love the location, and although I was the one that insisted that we buy it (this is another story, just know I am a Leo and I can be very. very. stubborn. and yes, we’re still married), it just didn’t seem to really work well for us until about a year ago. We replaced windows, built a second garage (for my man’s workshop and tool problem storage) with a rooftop deck, moved bedrooms around, divided an awkward family room to include a storage room, added new carpet and flooring, and gave my teenage daughter her own bathroom. We’re all happier. And this gave us the room so that I could have an office. I love it. I wanted something with color, something feminine, and modern-ish, where I could unbox and display some personal things I hadn’t had space for: my grandmother’s teacup, a butterfly my Nana carved for me when I was 8 years old, treasures my daughter made for me in elementary school and junior high, and a beautiful set of herb boxes that my talented mom painted for me. Plus my many decks of oracle cards (my new favorite is here) and some of my books. I have a book problem obsession. The rest of them are in many other rooms of the house. One of my favorite things about this space is the floor. It is a woven bamboo with a pad underneath, so when you walk on it (no shoes allowed), it feels like a tatami mat. I added a rug to anchor the desk and protect the floor, which seems to be a favorite spot for both of our 4 legged family members. I also have a fountain, live plants, and a salt lamp. All objects I highly recommend you add, too. The fountain keeps energy and ideas flowing, the live plants absorb EMFs and add oxygen, and the salt lamp neutralizes positive ions. (More about that later, just know it’s a good thing.) I also have two large inspiration boards that I change often, and my manifest board for the year. While I know that this style isn’t for everyone, it works well for me, and is a reflection of many aspects of myself. I also love to create office spaces for my clients. About the same time last year I was working on my own space, a male client of mine was agonizing over changing his office at his wife’s insistence. He was very reluctant, to say the least, and after getting to know how he wanted to feel in the space, I promised him he’d love it. We painted the walls, added new lighting and upholstery and more masculine heathered wool carpet, and flipped his desk into the command position. It looked great; very him. He quietly admitted (not in his wife’s presence), “You’re right, I love it”. So even if this particular style doesn’t speak to you, think about how you can make your space more you. How can it become more functional, and attractive to you? If you feel great in the space, it’s ever so much more enticing to be there, getting things done, and enjoying the process. I bet you spend so much time in your office (home or commercial space, or both), that it affects you more than you may consciously realize. How do you want to feel? See if you can come up with some simple changes, or maybe even a complete makeover. If you need help, you know where to find me. In my office.